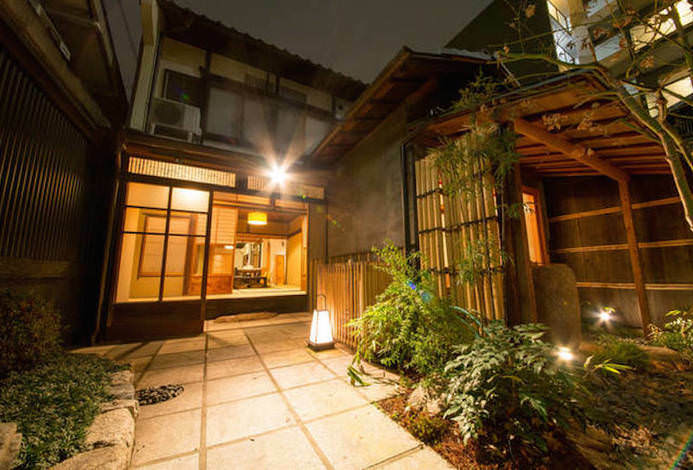 “Kyobu KarasumaGojo” is nestled close to Kyoto municipal subway Gojo station. 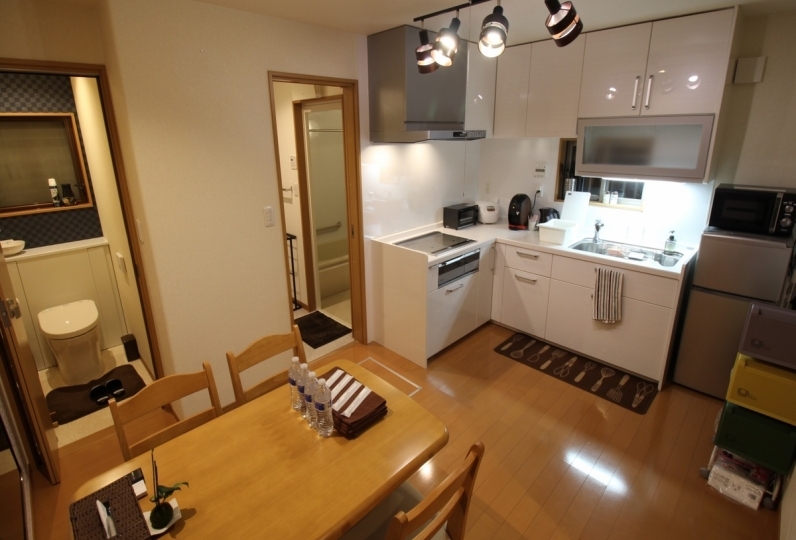 Walking distance to Higashi Honjo temple and Nishi Honjo temple. 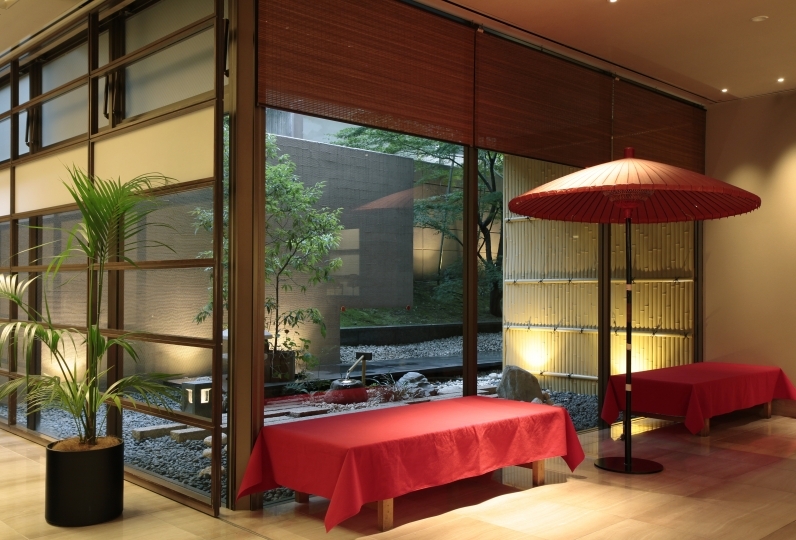 The atmosphere weaved with modern and Japanese style on beautiful white walls on the 2 floor buildings. 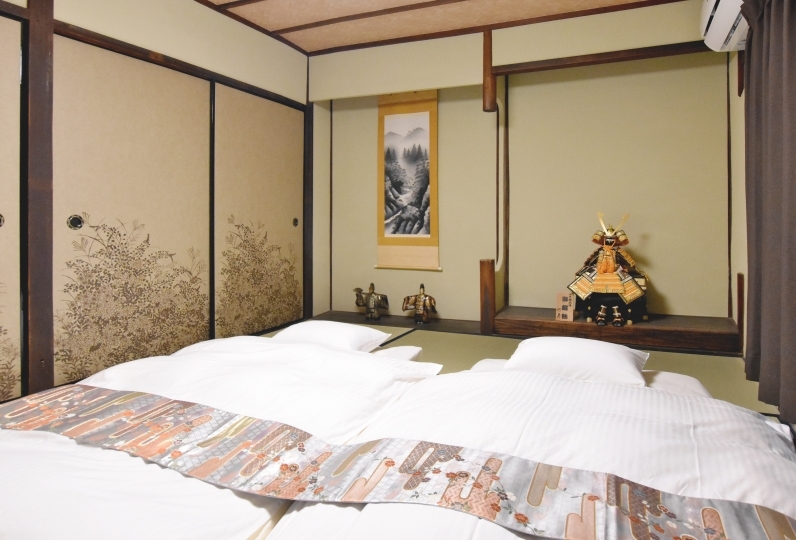 You can have comfortable Kyoto stay. 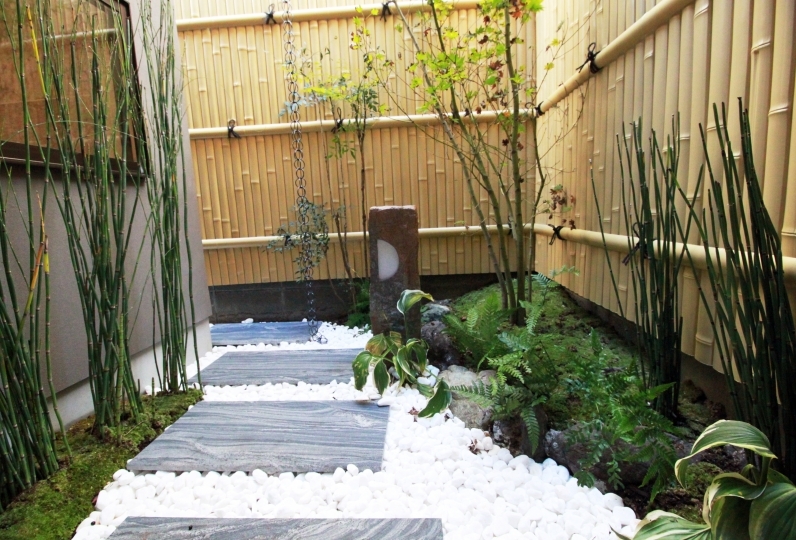 After you walk around Kyoto, have a bath at the pottery bath tub while looking at the garden. 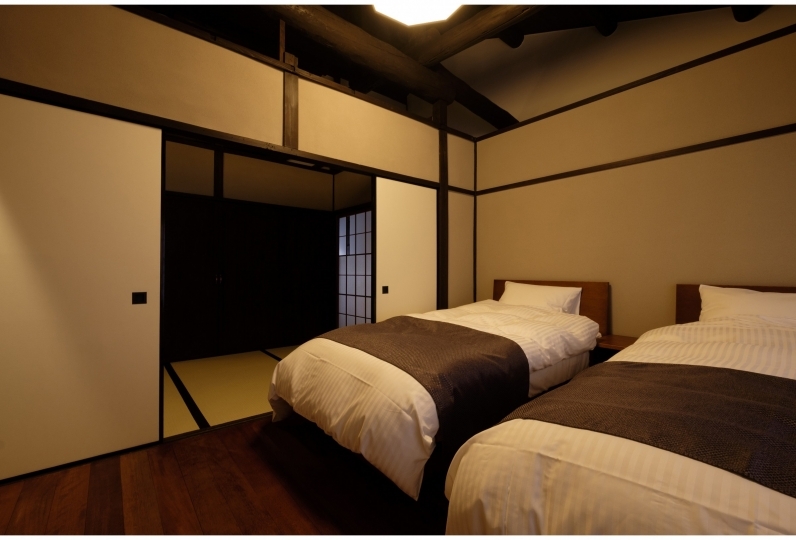 Experience and enjoy the elegant ancient city at “Kyobu KarasumaGojo”. It was staying with five adults. They slept with a bed on the first floor. Three people went to bed on the second floor laying a futon, but because there was no curtain at the window, it was bright early in the morning and it was hard to sleep. We don’t provide meals but there is a kitchen with all the cooking tools and a crockery set. 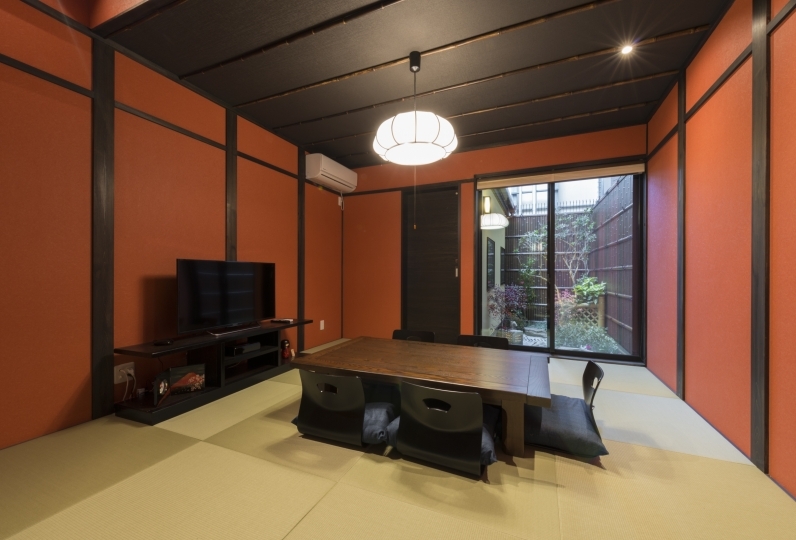 We are hoping you can have great memories by getting groceries from the nearby grocery store or Nishiki market and enjoy cooking with friends. 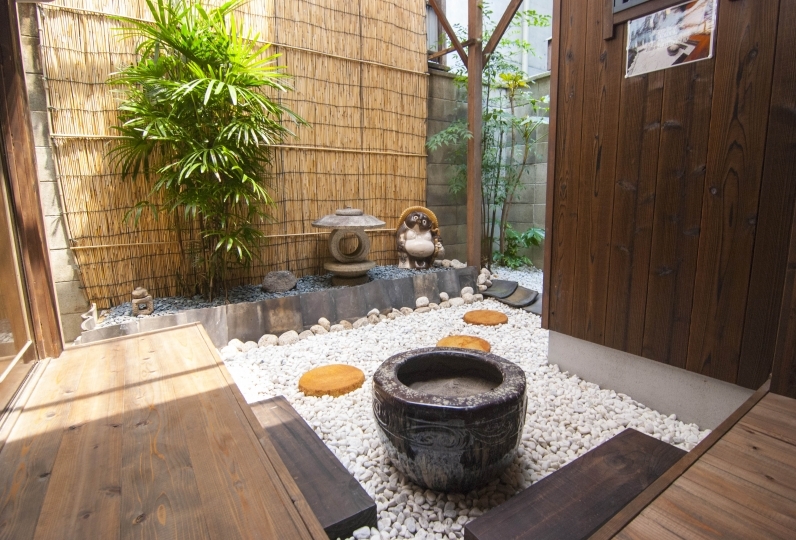 The inn garden view from the bath is a special feature of Kyobu Karasuma Gojo. 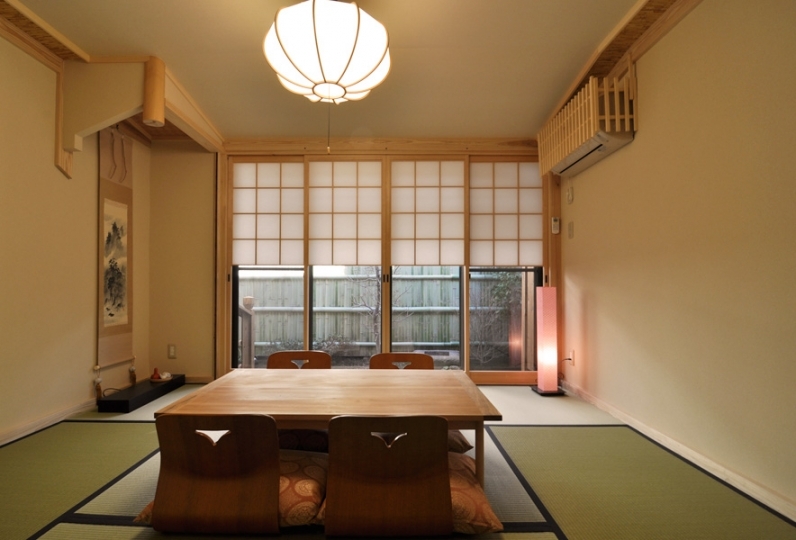 One whole house rental with fully renovated Kyoto old Machiya. It is the best size for couples or groups of friends and family. 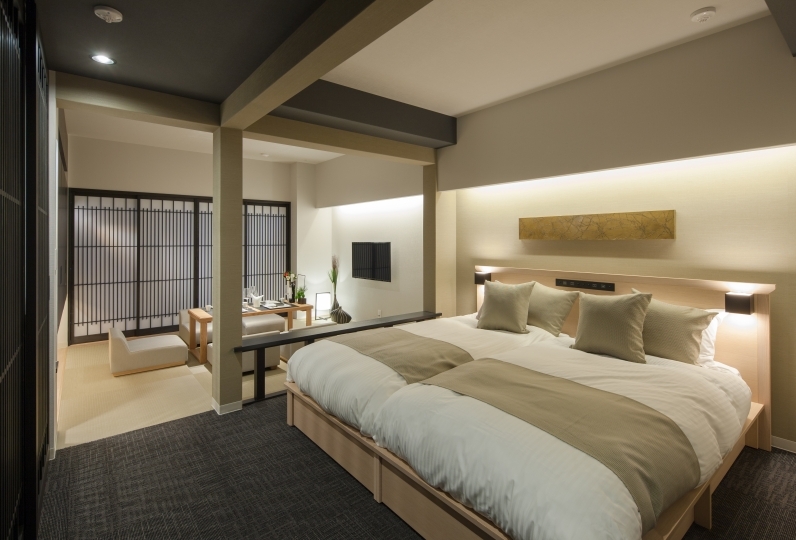 A maximum of 5 people are allowed to stay with 3 sets of futons in the loft and 2 Serta brand semi-double beds on the first floor. 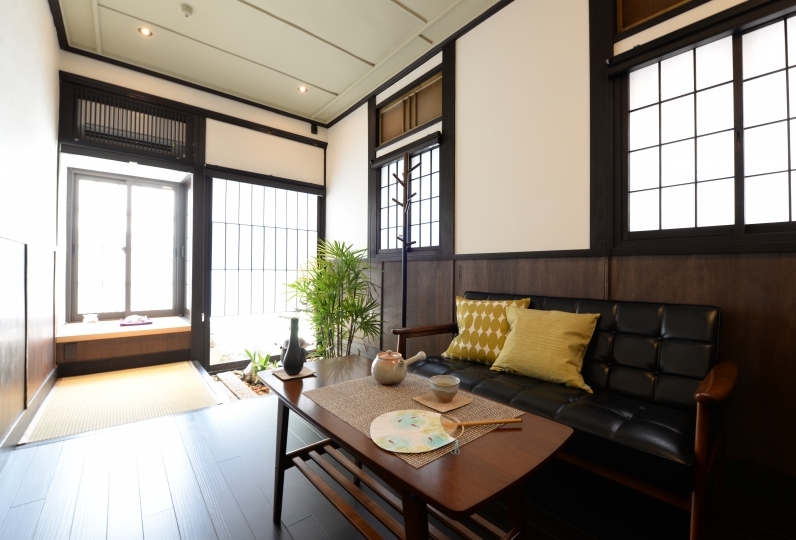 We will provide a relaxing atmosphere from the general hustle and an inn garden view from the bath, feeling the open high ceiling and the warmth of cedar plate flooring. Please don’t bother the neighbors by talking too loud at the entrance or making noise at night because it is in a quiet residential area. 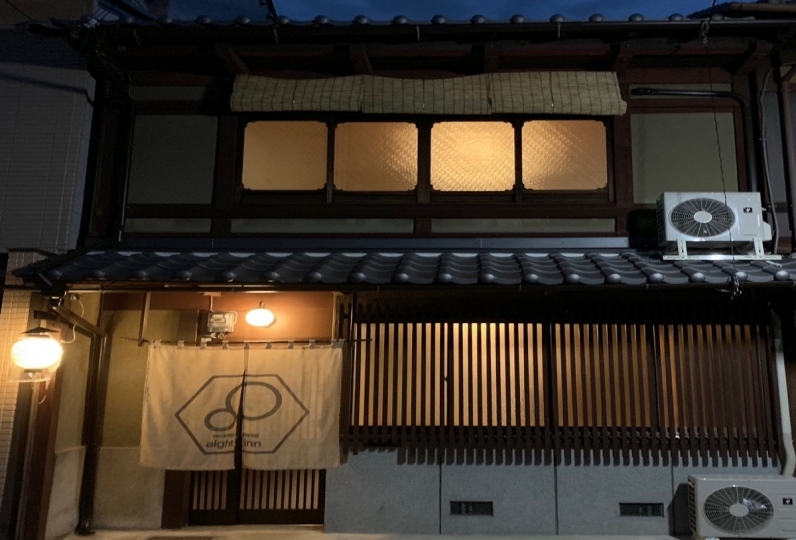 it is a nonsmoking building so please don’t smoke outside of the entrance as well. Take Karasuma line towards Kokusaikaikan from Kyoto ststion. 5 minutes walk from exit 6 to the east.